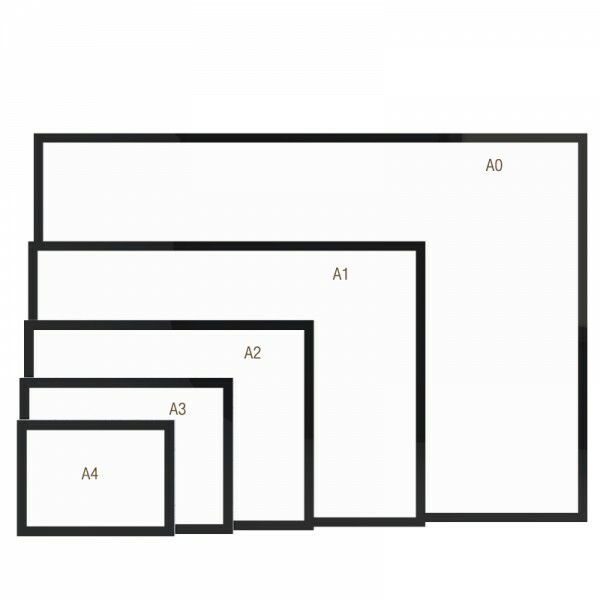 Product information "S LED display DIN A4-A0"
S LED is the new flexible LED backlit shop window system that allows you to effectively display advertising messages and related products. The LED displays are available in common formats from DIN A4 to DIN A0 and can be easily mounted and equipped on both sides. The LED lighting makes for an emotional customer approach and attractive long-distance effect and the filigree suspension you create flexible decorations on several levels. LED lighting display, with black frame, can be equipped with poster DIN A4-A0 on both sides. Including power supply.